Venerated Fouad Ajami built his true legacy on falsehoods and foolishness. Fouad Ajami died in the nick of time, just before his lies could finally be revealed to the world. Fouad Ajami received unmerited accolades from all over, but shoddy academics will haunt his heritage. Fouad Ajami was not what he appeared to be. He was not the Arab insider turned fearless critic he claimed to be. Ajami was no great scholar. He produced no academic work of significance, and entrenched biases mired all his books. The Ajami heritage is the 30,000 US soldiers wounded and unnecessary deaths of 4,500 US soldiers and 500,000 Iraqis. Fouad Ajami's death should not cover up his destructive lies and criminally incompetent assessments. 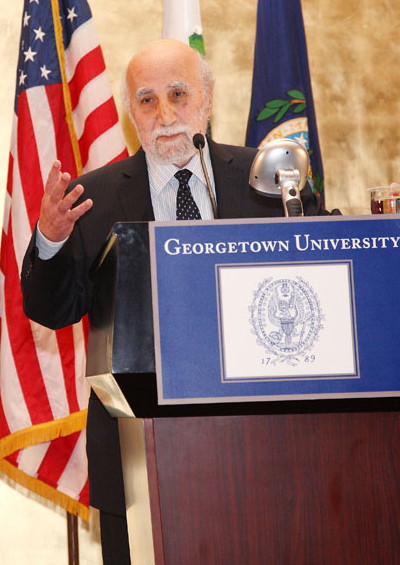 The death of Fouad Ajami, longtime director of Middle East Studies at the Paul H. Nitze School of Advanced International Studies (SAIS) of Johns Hopkins University in Washington, DC from cancer at the age of 68, was followed by the predictable outpouring of praise and reverence in the mainstream U.S. press. The praise ranged from the New York Times and the Washington Post to the New Republic and National Review. This flood of sickly sentiment was entirely expected and fitting for one who had told the proud, powerful and ignorant in Washington precisely what they wanted to hear for so long – and who had profited mightily from it. Wealth, awards, acclaim and national fame poured on to Ajami. He was revered as a heroic prophet and truth-teller not just by the predictable neo-conservative right, led by his long-time friend and enabler Paul Wolfowitz. But also across the so-called mainstream of the United States’ media and academia. He was a regular recurring guest on Charlie Rose. He was awarded a MacArthur Foundation “genius” endowment – an ultimate in oxymorons. Secretary of State Condoleezza Rice took him seriously as an adviser on Iraq and the Middle East. The truth, which should have been obvious for at least 30 years, was very different. Ajami was no great scholar. He produced no academic work of significance whatsoever. The books for which he was acclaimed were subjective, romantic and unsourced. They were all sweeping expressions of sentiment, almost always ferociously biased against Sunni Arabs, whom he loathed and belittled. He made sweeping generalizations which were recognized as absurd by everyone with any first-hand knowledge of the Arab societies of the Maghreb (North Africa), the Fertile Crescent and the Arabian Peninsula. Ajami waxed rich as a supposed champion of human rights in the Middle East and secular foe of Islamist extremism. He clearly saw himself in this regard. The truth was precisely the opposite: He repeatedly urged first the American conquest of Iraq which finally took place in March-April 2003, and then support for the so-called democratic opposition in Syria starting in 2010. He welcomed the Arab Spring explosion of protests across the Middle East in 2010 as the great opportunity to replace autocratic regimes throughout the region with U.S.-backed democratic regimes. But in the end, it was his own lies and snake oil salesman charm that was exposed as false. He died just as the total fraudulence of all his hopes and predictions was being fully exposed to the world. But in truth the record had been clear for at least the previous decade. As Adam Shatz pointed out in an important article in The Nation on April 28, 2003, Ajami confidently and repeatedly predicted that that the U.S. Army would be hailed as liberators when they entered Baghdad and toppled Saddam Hussein. He at first ignored, then belittled, the full-scale anti-American guerrilla rebellion that erupted instead. It exhausted the U.S armed forces over the following decade. Far from eclipsing Islamist extremism across the region, Ajami’s relentless efforts made its eventual triumph more feasible than it had ever been before. He worked ceaselessly to destroy first the traditional state structure of Iraq and then that of Syria. ISIS, the Islamic State in Iraq and Syria, the reincarnation of al Qaeda in Iraq (AQI) was the direct beneficiary of this catastrophic power vacuum in the region. Within a week of Ajami’s death, ISIS proclaimed the Caliphate on June 29. At the beginning of the 21st century there were still thriving Assyrian Christian communities in Iraq and the ancient Christian community in Syria comprised 10% of the population of the country. By 2014, both these ancient communities with their priceless heritages had ceased to exist. Ajami was not what he appeared to be. He was not the Arab insider turned fearless critic he claimed to be. He came from the Shi’ite community in southern Lebanon and had experienced prejudice and bullying from young Sunnis in his childhood. He was no Middle East insider. He emigrated to the United States while still a teenager. His academic work was superficial. His methodology was a joke among serious scholars. In his sweeping generalizations and disdain for hard data, he resembled much more the romantic British adventurers and con artists like T.E. Lawrence and Sir Mark Sykes who won the favor of powerful British officials like Winston Churchill during World War I and in the 1920s. Like attracts like: Ajami was embraced by the neoconservative intellectuals who rose to great influence in the U.S. Republican Party and the conservative movement in the 1980s. 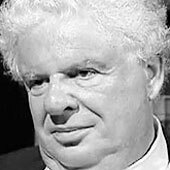 He found a kindred soul in British academic Bernard Lewis. Like Ajami, Lewis never did any serious historical or political scholarship on the modern societies of the Middle East. He had done original research only on the obscure Tanzimat reform period of Ottoman Turkey in the first half of the 19th century. But never on the 20th century history of the region. Like Ajami, Lewis then went on to write sweeping, judgmental generalized and sloppy books on the Middle East which were embraced and promoted by ignorant and ambitious politically connected forces in the conservative Republican establishment. Interestingly, neither man was ever taken seriously by major executives in the U.S. oil industry who actually worked successfully in Saudi Arabia, Kuwait and the other oil-rich nations of the region. Ajami was mourned by his admirers as having died too soon. In reality he died in the nick of time, right before an outraged American public and an ousted secular middle class from across the Fertile Crescent could expose him. Con artists always know when to escape just before their lies are finally revealed to the world. Ajami’s real heritage is clear: It lies in the 4,500 American dead (so far) and more than 30,000 seriously injured U.S. servicemen and women (usually with lifelong brain damage and/or limbs blown off by IEDs) from the 11-year, ultimately futile exercise in nation- and democracy-building in Iraq. His heritage lies in the at least half a million Iraqi dead from the U.S. invasion, botched occupation and subsequent civil war. It lies in the revival and current surge of ISIS and the rise of Muqtada al-Sadr and his implacable Mahdi Army, dedicated to establishing an extremist Caliphate that would slaughter all Christians, Jews and moderate Muslims in their path. It lies in the $2 trillion cost of the futile Iraq adventure. But there was nothing “noble” about his lies, his false predictions and prophecies, or the wealth with which he was showered for making them, a fortune many others paid for with their death screams and blood.